SEATTLE, Washington — Right now, the world is facing the largest refugee crisis since the Second World War. Refugees continue to face many obstacles once they are out of refugee camps and settled in a new country. Among these issues are finding jobs and housing, securing medical assistance and counseling and even the seemingly small feat of adjusting to a new culture and way of living. These five people and organizations that are helping refugees hope to help reduce the stress of acclimating to life in their new host countries. Franka Soeria is an Indonesian-born fashion designer and entrepreneur. She is a prominent figure in the global fashion industry, working as a fashion consultant for international brands. Soeria co-founded “Modest Fashion Week,” has her own creative fashion agency and jump-started the Benang Project—an organization that trains refugees to work in the fashion industry. After the realization of the hardships refugees often face, Soeria reached out to the U.N. Refugee Agency to start the project. The Benang Project employs refugees, providing them with work experience and giving them the opportunity for creative expression through fashion. UNHCR representative Thomas Vargas said, “We need to find ways to help [refugees]take care of themselves and give back to host communities, sharing the skills and knowledge they have. That can also encourage economic development that will help everyone.” Although the project only operates in Indonesia for a small group of refugees, Franka Soeria hopes to expand as the project gains traction. One of the major difficulties refugees face, especially female refugees, is feeling safe in their new communities. Vecca “Vee” Smith Uka and Florence Kahuro felt that insecurity when they came to the United Kingdom from Nigeria and Kenya. As refugees and asylum seekers, they faced the difficulty of finding jobs, safe housing, applying for asylum and more. Out of this struggle Sisters United was born in Halifax. 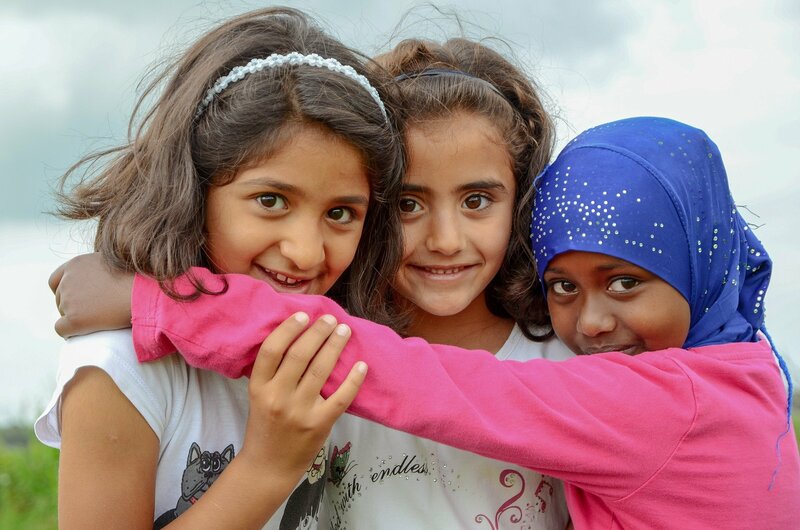 Sisters United helps new refugees and asylum seekers acclimate to their new surroundings. They provide tours of the town, act as translators for those who struggle with English and help parents sign their children up for school in addition to many other services. In total, the organization has helped more than 55 people from 17 different countries and cultural backgrounds. The organization has its own community center where women and families gather for support groups, workshops and social events. Above all, Uka and Kahuro describe Sisters United as a “home” and “safe place” where women can embrace cultural differences and express themselves. Recently, Migrants Organise and the U.N. Refugee Agency recognized Sisters United with a “Woman of the Year Award” at the Women on the Move Awards. The International Rescue Committee’s (IRC) mission is to serve refugees whose lives are upended by war. It provides support in regions that don’t have the resources to support a large refugee/asylum seeker influx. The IRC rapidly responds to the needs of host countries and helps to resettle refugees in safe environments throughout the U.S. In its 85 years of operation, the IRC has worked in Africa, Asia, Europe, Central/South America, the Middle East and the United States. The organization provides immediate relief for refugees in disaster areas, responding within 72 hours after an emergency. As an organization, it was the first to set up an international team dedicated to the prevention of violence against women and girls. Additionally, the IRC provides medical care and works to reunite families separated during times of war, natural disaster or persecution. Like many refugee support organizations, the IRC help refugees secure jobs, housing, medical care and other resources. Ontario may not be an organization, but this Canadian city, it has been instrumental in aiding Syrian refugees fleeing armed conflict and violence in the Middle East. Out of the four million Syrians (50 percent of whom are children) that fled the area due to ongoing civil war, 10,000 have escaped to Canada seeking asylum. In over two years, Ontario has invested 10.5 million to aid organizations that support and sponsor Syrian refugees. Ontario committed an additional two million to relief efforts orchestrated through the United Nations High Commissioner for Refugees and the U.N. World Food Programme. In addition to funding, Ontario matches charitable donations to the cause, encourages Ontario residents to sponsor refugee families and runs food and clothing drives for refugees in the area. Their website offers refugees resources for finding housing, healthcare, legal advice and more. Formed in 2007 and based in Cape Town, South Africa, the Adonis Musati Project (AMP) assists asylum seekers and refugee populations. Focusing on both mental and physical needs, the organization strives to support refugees by providing resources for health and welfare as well as job training and education among other services. In Africa, the refugee crisis is ongoing with millions of internally displaced persons and refugees. In South Africa alone, there are almost 400,000 pending asylum applications, showing that the system itself is inefficient and inadequate for the influx of people seeking refuge there. This is something that AMP seeks to alleviate and support. In addition to health services, AMP provides a Peer Support Programme that “utilises and builds on existing resources of skilled individuals from within the refugee and asylum seeker community and empowers them to deliver services to their peers. ” It also offers a Pathway to Health program that provides free health tests and screenings as well as trauma counseling. The plight of refugees is a global issue that affects every country, not just the organizations that strive to help them or the refugees themselves. Providing resources to refugees helps local economies, supports education and global health and decreases crime rates. While these five people and organizations that are helping refugees are making considerable strides in supporting refugees, it is also important to continue to educate people on the plight of refugees in order to attain the resources and support they so desperately need.